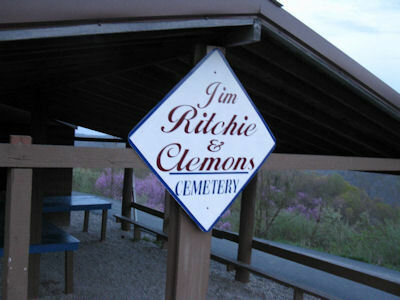 RITCHIE - CLEMONS CEMETERY Near Decoy, Knott Co., Kentucky All Photos by Manton Ray Cornett unless otherwise indicated. Beech Clemons 1913 - 1993 Beecher Clemons was the son of Goodloe and Elizabeth "Betsy" Miller Clemons. Bertha Clemons 1927 - 1927 Possibly the daughter of Edward and Alafair Miller Clemons. Earl R Clemons 1922 - 1972 Earl Roy Clemons was probably the son of Corbett and Maggie Clemons Clemons. Dr. Moses Clemons 1833 - 1897 This is the son of Benjamin Sr. and Mary "Polly" Fugate Clemons. William J. Hounshell 1931 - 1975 OSSW Helen S.